If you would like to add to our growing community, follow this link to fill out the Quiz Sharing Form. 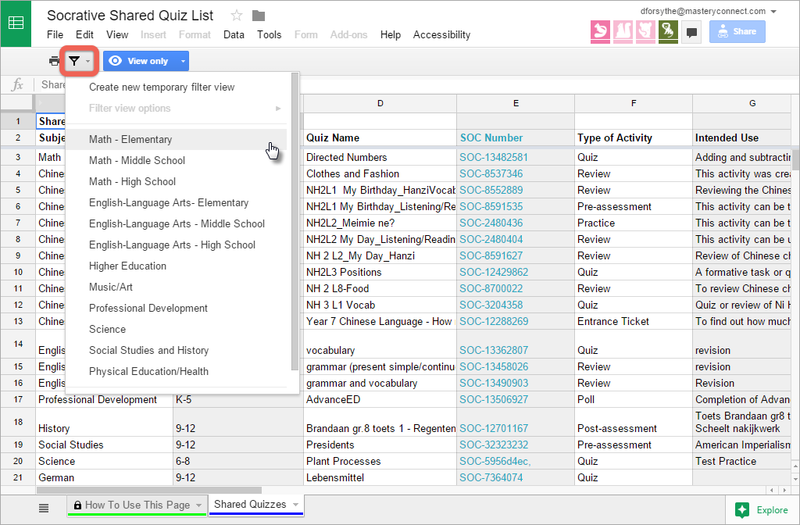 Click on the Filter Views menu near the top-left of the Shared Quizzes sheet toolbar. From the corresponding drop-down menu, select the Filter View that meets your need. 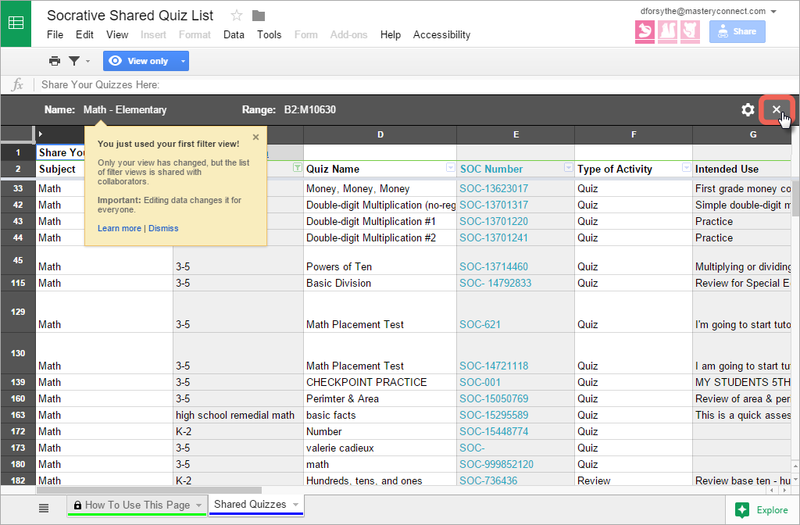 When you find a quiz for which you are interested, copy the SOC Number and use it to import the quiz into your room. To learn how to use a SOC Numberto import a quiz, please see our help article on importing quizzes. To exit Filter Views, click the “X” in the top-right corner of the Filter Viewstoolbar or choose another option from the Filter Views menu.